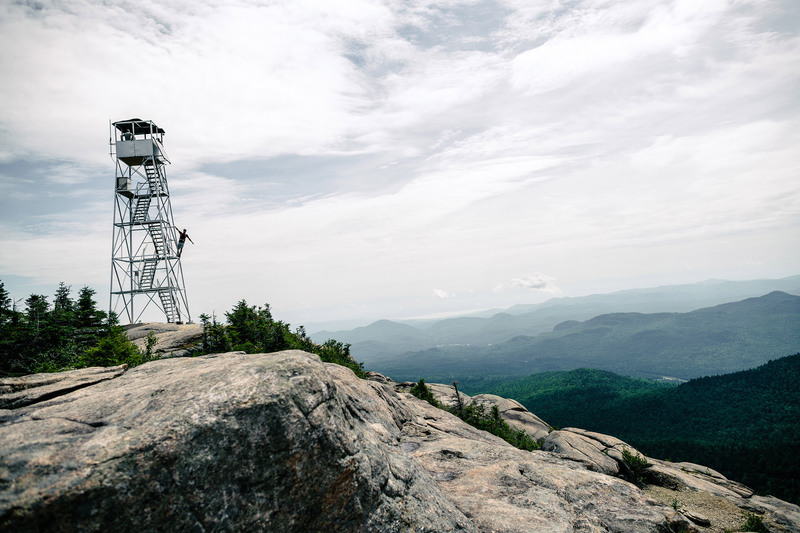 You’ll see a lot of things from the top of an Adirondack High Peak—endless summits, gray slides scarring mountainsides, alpine lakes, and deep gouging passes. But, aside from the stray ski jump peaking up above the thick carpet of trees, one thing you won’t see much of is civilization. 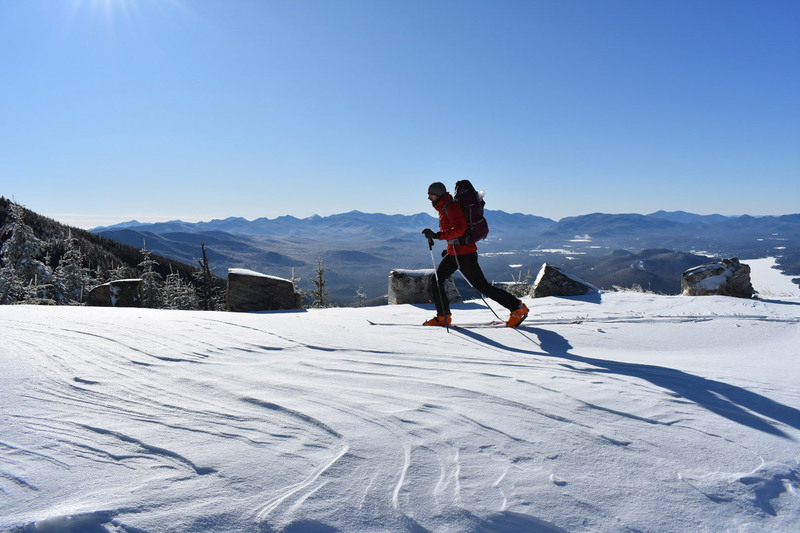 More than any other range in the Northeast, the Adirondacks are alone, set far away from the region’s cities and towns. As a result, this makes the views from these bare (or not) summits all that much better. No two summits offer the same perspective, however, so which ones are the best? See them for yourselves below, and then, start planning your next hike to one of these high alpine islands. There’s no quick way to get to Mount Colden, but the longer hike definitely pays off. You’ll climb into the heart of the High Peaks Wilderness, an area completely surrounded by giant summits, including the state’s two highest—Marcy and Algonquin—directly east and west of you, respectively. Peer down into Avalanche Pass and Lake Colden, and then out to the Flowed Lands, located just north of the Hudson River’s beginning. 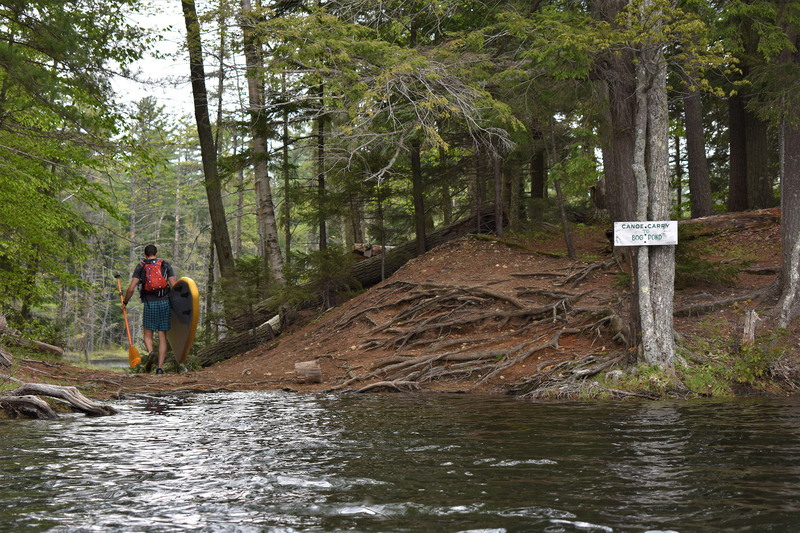 The hike from the Adirondack Loj will take you past the former site of Marcy Dam, where a clearing offers views down Avalanche Pass as if it were a gunsight. Not having anything above you definitely goes a long way to making a mountain’s views memorable. In New York, Mount Marcy is the place to do that. The summit is completely bare and rocky for a few hundred feet up, meaning absolutely nothing obstructs your view of just about all the other High Peaks. To the east, gaze 1,000 feet down into Panther Gorge and Mount Haystack beyond. Catch views of Lake Placid to the north, and the river valleys to the south. Plus, the hike via the Van Hoevenberg Trail offers a smattering of worthy views, like Marcy Dam and Indian Falls. The Great Range peaks make up a continuous line extending from Marcy and Haystack all the way into Keene Valley. Here, Gothics sits smack in the middle. The summit has the best views of the Upper Great Range, including Haystack, Basin, and Saddleback, all lining up and pointing to Marcy. The Dix Range dominates the southeast, and Big Slide’s bald face sits alone across the Johns Brook Valley. Hike it from the Ausable Club and past Beaver Meadow Falls. Marcy’s next-door neighbor to the south, Skylight has similar panoramic views from its bald summit, with one notable addition—Marcy herself, rising from behind Lake Tear of the Clouds. For reference, this article’s header image was taken on Skylight at sunrise. You’re pretty close to the High Peaks’ southern edge, which means, as you’re looking out, the mountains slowly shrink away and give you great views of the Upper Hudson River Valley. Hike this one from Upper Works, tracing the Hudson River’s path to Lake Tear, the river’s highest source. 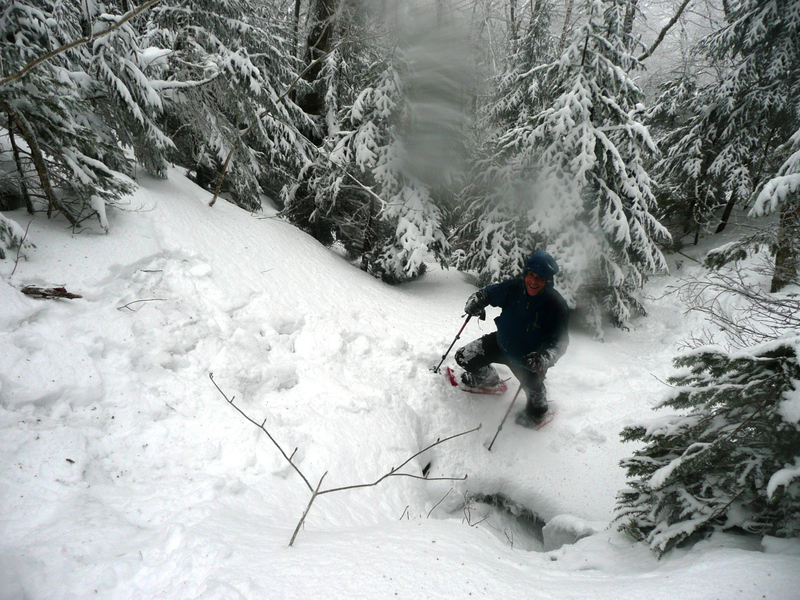 Cascade is one of the Adirondacks’ most popular “first-timer” peaks, and for good reason. For starters, while it’s a relatively quick and easy hike up from Route 73, the views from the top are spectacular, making it one of the 46’s best bang-for-your-buck treks. The rocky summit lines up with the rest of the peaks to the south and Lake Placid and Whiteface just down the road to the north. Make it a two-fer by adding the less-impressive Porter Mountain to your itinerary. In this area, Giant Mountain gets most of the attention. But, its smaller neighbor, Rocky Peak Ridge, has arguably better views. Unlike Giant, they’re nearly 360 degrees. Plus, the view of Giant itself is impressive. Look down toward Keene Valley with the Great Range beyond, or try to pick out the fire tower on Hurricane Mountain, located on the other side of Giant. The bummer is there’s no quick way to get here. So, climb over Giant and through the deep col between the two, or approach RPR from the ridge to the east—longer but with consistent views all the way to the top. 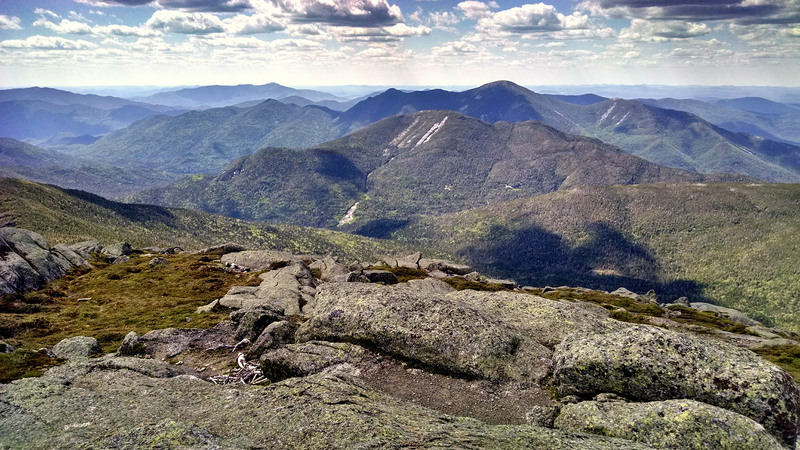 From Algonquin, the state’s second-tallest mountain, the views of the Trap Dike and slides on Mount Colden dominate. Beneath that, Avalanche Pass and Lake Colden slice a deep gorge into the valley. Above Colden, Mount Marcy’s bare summit towers over everything, with the Great Range extending to the left. Algonquin is part of the four-peak chain known as the MacIntyre Range, and thus, you can also tag Wright and Algonquin in one long day, with views extending across all three summits. Keep in mind that the range’s final peak, Marshall, isn’t connected by the same ridgeline trail. Far to the north, Whiteface offers a unique perspective of the region. 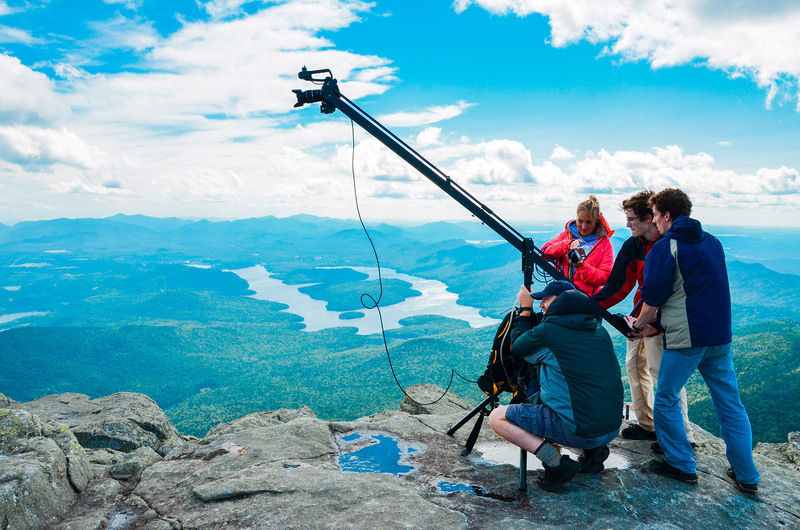 Immediately south, scenic Lake Placid is laid out, surrounded by smaller mountains. Beyond that, the High Peaks’ center, a jumble of jagged summits, clusters together. The views here are so popular that a road goes up to the top. But, for a handful of viewpoints on the way up, hike it via Marble Mountain from the Atmospheric Sciences Research Center.